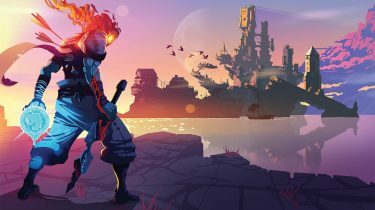 Sony’s flagship first person shooter is back for another round on the PS3, and this time it makes use of all the bells and whistles the console has to offer. Amazing visuals, fantastic sound, PlayStation Move support, and 3D TV ready out of the box. Impressive, indeed! But best of all, we didn’t have to wait years on end to hold it in hand. Killzone 3 comes just 2 years later, and I’m beginning to think that a little more time might not have been a bad thing. The single player campaign picks up right where Killzone 2 left off. Well, first you play through a tutorial sequence as a Helghast soldier in an arctic stronghold, then it pulls a “6 months earlier” on you. But then, it picks right back up, with Sev sitting on the steps of Visari’s palace mere moments after he was executed. Orders are to pull out and escape the planet, which of course goes south, and the bulk of the game is spent trying to survive while waiting for the opportune moment to strike. A decent story, albeit a forgettable one. Hopefully you enjoy manning a turret, as there are quite a few of these sequences in the campaign. Sev and Rico are still around, which is kind of a drag, as I really couldn’t stand Rico in Killzone 2. Thankfully, he has a few redeeming moments in Killzone 3, but there were still many teeth clenching cut-scenes. The game ends with a big action scene, concluded with a massive explosion, a second or two of remorse, then credits. In other words, very abruptly. Remember Halo 2? Okay, it wasn’t that bad, but I was definitely hoping for more once the credits had passed… and there was, but still not enough. 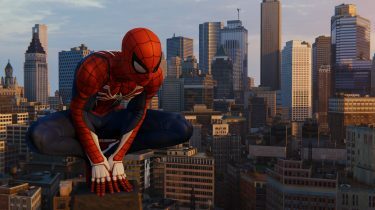 My overall opinion coming off the campaign was dampened by the abrupt ending, but don’t get me wrong, there are plenty of great moments to be had! 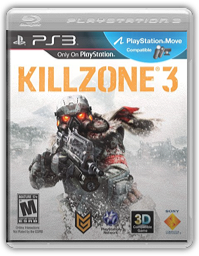 As Killzone 2 before it, Killzone 3 is a generally fast-paced, super intense shooter with plenty of huge explosions and massive set pieces. Killzone 2 feels different from just about any other shooter I’ve played. The character movements feel heavy and slow, as they should. 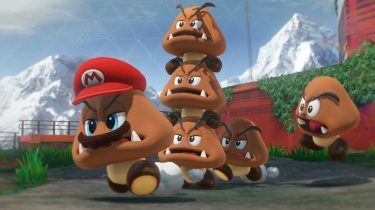 They seem over-exaggerated, but that’s only because most popular shooters (read, Call of Duty) are far too quick and tight, or as I like to say, tank-like. But even then, it feels quicker and more responsive than I recall Killzone 2 being. Personally, I’m a fan of more realistic movement, especially when it comes to online play. The controls are basically the same as Killzone 2, with that awkward left trigger cover, but this time you don’t have to hold it to remain in cover. When left trigger is cover, clicking the right stick becomes melee, and you will want to be doing lots of melee kills, as they’re glorious! 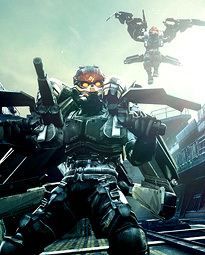 Killzone 3 introduces “brutal melee”, which is a melee kill of epic proportions. It usually involves a gruesome, slow and drawn out animation where your thumbs are driven into the eye sockets of your enemy, a knife to the cornea, and so on. They’re quite fun, especially if you can land one on another player online. Weapon load-out is familiar, with a couple stand out additions. Namely, a gun that shoots some form of green electric energy that makes enemies combust on contact, and is capable of taking down several dudes in close proximity at once. Handy! Best of all is the introduction of Helghan jetpacks. They are big, loud, clunky machines that require two hands to operate. Thankfully, the right hand also controls a mounted fully-automatic machine gun with unlimited ammo. These things are deadly, and super fun to use! They’re not like any jetpack you’ve used in other games, as they have a very limited flight time and are more for boosting to high areas, or descending some what gracefully. There are even some multiplayer maps that are open enough to support jetpacks, and it’s all sorts of satisfying shooting down an enemy in mid flight. 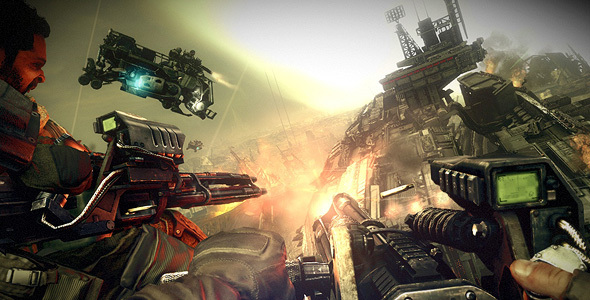 It’s not often I say this, but I thoroughly enjoy Killzone 3 multiplayer! Much more than the single player campaign, even. I have a rule, that I must complete the single player end of a game before jumping online. And typically I have no problem sticking to it, but Killzone is another story. Warzone is the most fun I’ve had playing a shooter online, ever. Even with weapon and ability upgrades, the perk system – it still feels perfectly balanced. The entire experience has been simplified for Killzone 3. There’s no more server list and filtering, similar to how most PC games work. Matchmaking is in effect, and you merely have to choose a game mode before being thrown into a 24 player match. Skill points are earned as you level up, and you can spend them on any kit you’d like – you’re not bound to the kit you’ve been using, as some games tend to do. This is nice, as you can work on one kit until it’s maxed out, then continue to earn points with your upgraded weapons and abilities that can later be spent on beefing up another kit. I have been playing as a medic mostly, as I love the ability that allows you stand back up after the respawn timer has reached zero – this can only happen once per life, and it’s only possible if your enemy doesn’t finish you off while you’re bleeding out. While the single player campaign was a bit of a disappointment, the multiplayer side of Killzone 3 more than makes up for it. This is a game that will remain in my collection indefinitely.